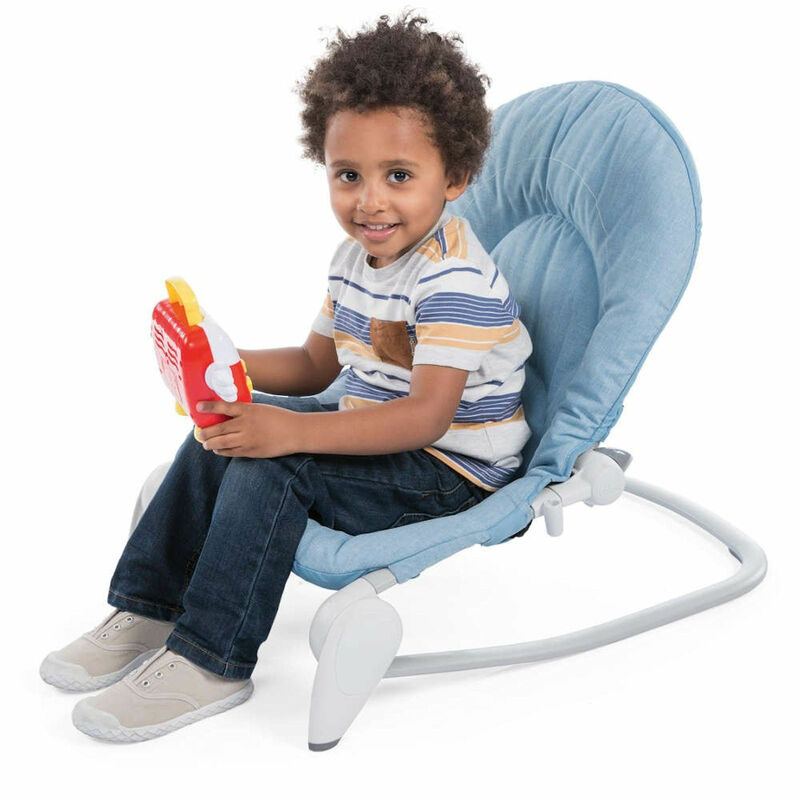 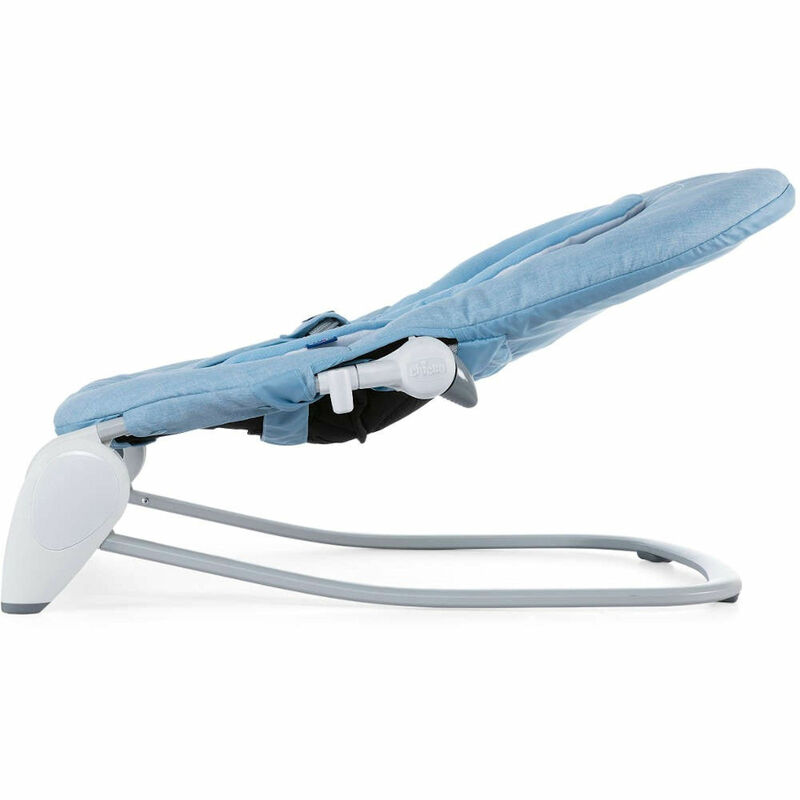 The Chicco Hoopla Baby Rocker is a fun and comfortable bouncer chair in which baby can sit, relax and have fun in complete comfort and safety. 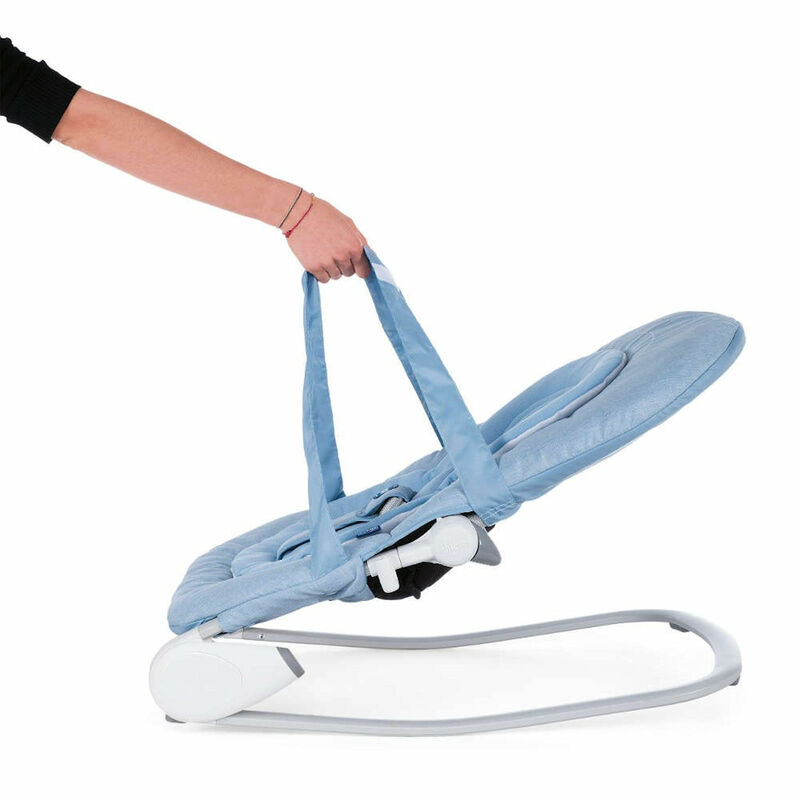 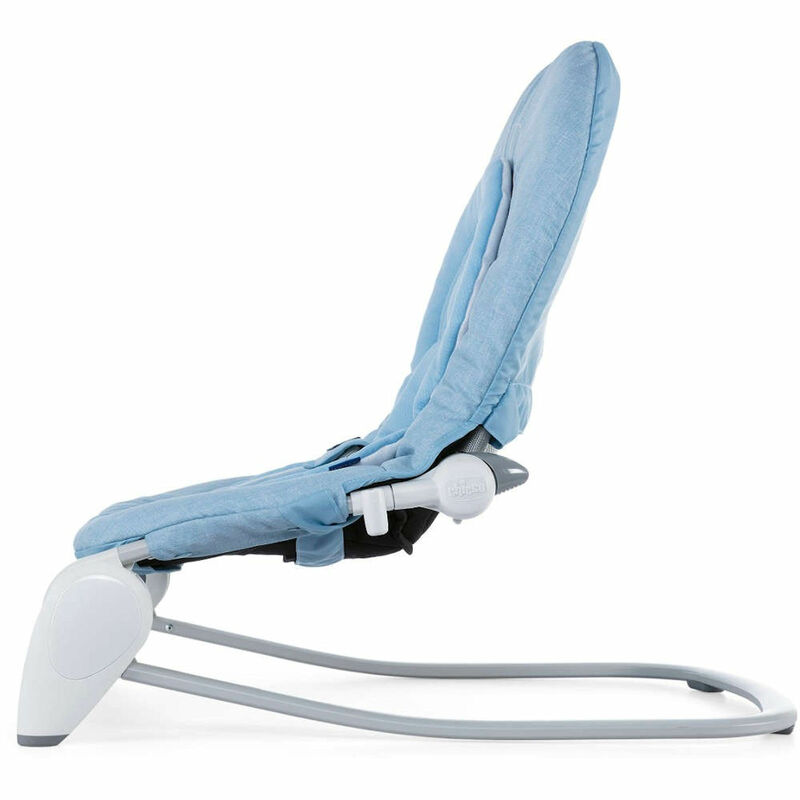 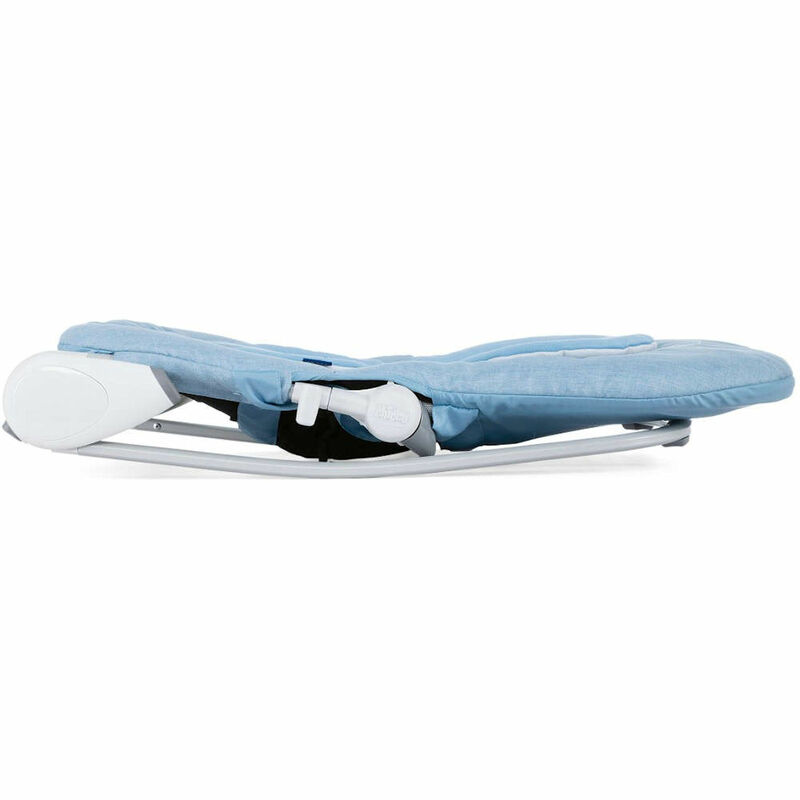 Suitable from birth until baby can sit up unaided, the Hoopla comes complete with a multi-position reclining backrest and an ergonomic and ultra-soft removable booster cushion for newborns, which will hold baby in a soft but snug embrace and can be adapted to fit baby’s growth. 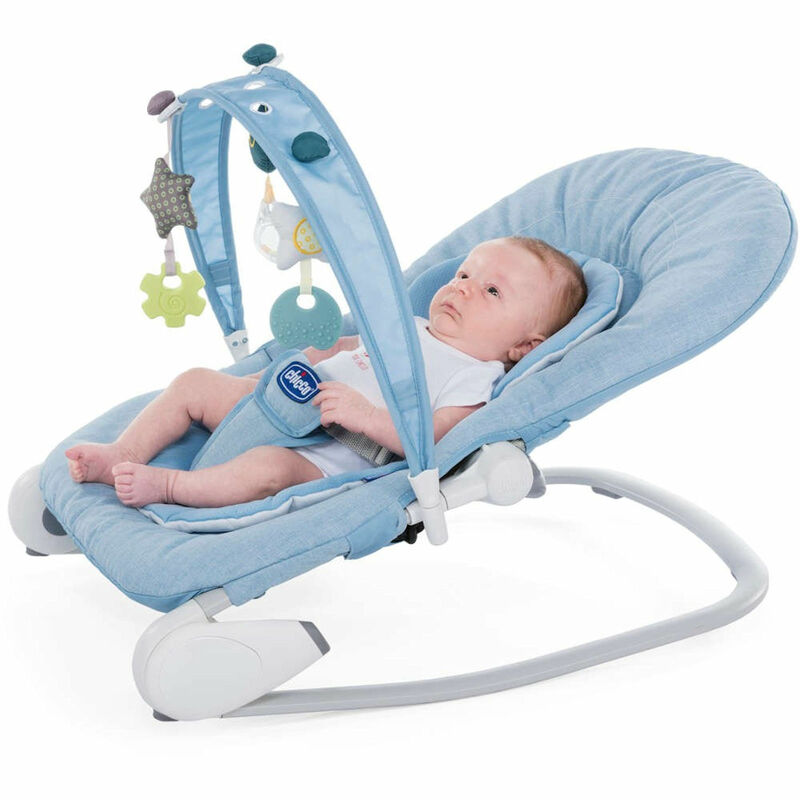 3 soft toys hang from the removable toy bar and are designed to stimulate tactile, visual and hearing skills. 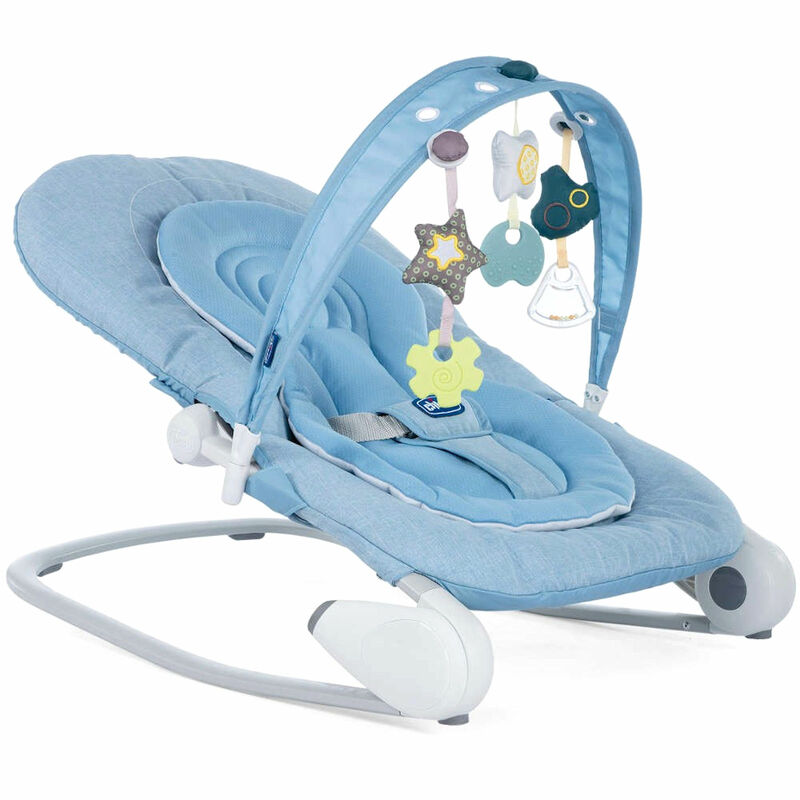 The toys can also be positioned to your liking as the bar features Chicco’s exclusive “Slide Line System” allowing you move the activities to the position where baby will benefit from them most.